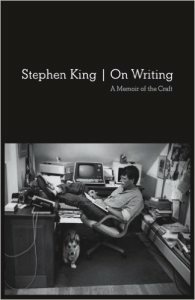 A good review of one of my favorite books for writers, Stephen King’s On Writing: A Memoir of the Craft. I recently finished reading, well actually listening to, Stephen King’s On Writing: A Memoir of the Craft. Highly recommended for all writers! There’s a lot of conflicting advice about craft books for writers—some think you can’t learn from them, or that the best way to improve your writing is just by more writing. And I agree with the latter point. I also believe that books on writing can help you improve if you already are writing. This entry was posted in Dubious Writing Advice. Bookmark the permalink.